KBB.com 10 Best Sedans Under $25,000. Delivers 36 Highway MPG and 23 City MPG! 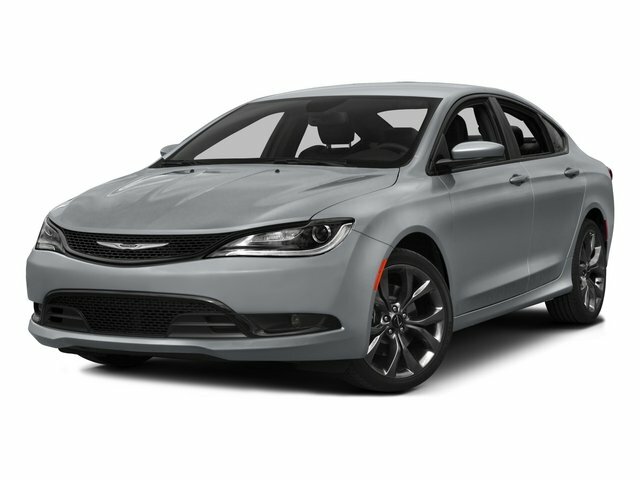 This Chrysler 200 delivers a Regular Unleaded I-4 2.4 L/144 engine powering this Automatic transmission. WHEELS: 18" X 8.0" SATIN SILVER ALUMINUM, TRANSMISSION: 9-SPEED 948TE AUTOMATIC (STD), TIRES: P235/45R18 BSW AS (TX5). QUICK ORDER PACKAGE 28E -inc: Engine: 2.4L I4 MultiAir, Transmission: 9-Speed 948TE Automatic , POWER 8-WAY DRIVER SEAT -inc: Power 4-Way Driver Lumbar Adjust, PARKVIEW REAR BACK-UP CAMERA, ENGINE: 2.4L I4 MULTIAIR (STD), CONVENIENCE GROUP -inc: Leather Wrapped Steering Wheel, Sun Visors w/Illuminated Vanity Mirrors, Body Color Power Heated Mirrors, Power 8-Way Driver Seat, Power 4-Way Driver Lumbar Adjust, BLACK, PREMIUM CLOTH BUCKET SEATS, BILLET SILVER METALLIC CLEARCOAT, Window Grid Antenna, Wheels: 17" x 7.5" Tech Silver Aluminum, Voice Recorder. As reported by KBB.com: One of the more attractive interiors in the segment at an affordable price is tough to overlook. A refined 4-cylinder engine offers respectable fuel economy due in part to the new 9-speed automatic transmission. If it's power you seek, the Pentastar V6 serves up 295 horsepower.